Driving rain – check. Gale force winds – check. Chilly conditions – check. It must be Great Adventure Challenge (GAC) time again in WA. 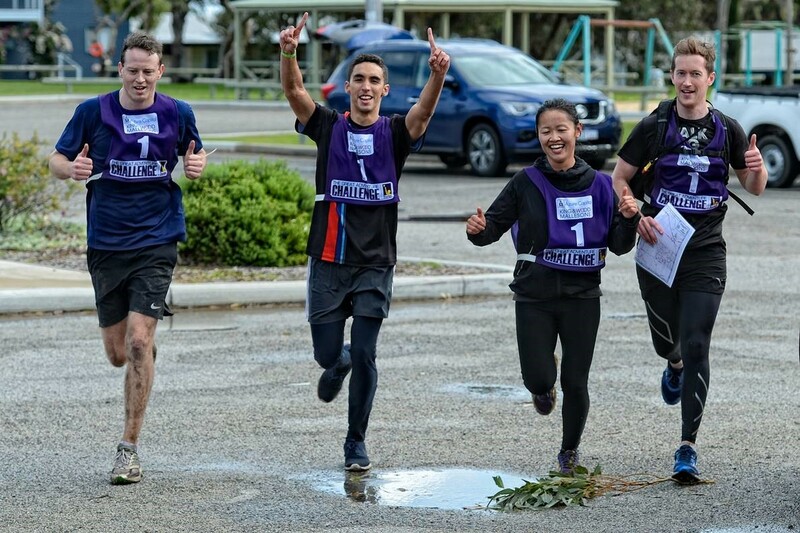 The 2017 GAC series for the Starlight Children’s Foundation kicked off in WA this past weekend as seven teams took on a grueling 70km+ course in support of sick kids and their families. Teams braved single digit temperatures, icy winds and heavy rain to navigate their way from Yanchep National Park to seaside Guilderton. The course was not for the faint hearted (or the claustrophobic) as teams started the course with an early run leg and cave challenge. Participants twisted, turned and crawled their way through the narrow Melaleuca Cave under the guidance of Rob and Eve. Support crew and event volunteers didn’t miss out on the cave action either, with many taking the opportunity to walk through Crystal Cave while they waited for the first leg participants. The run and cave leg was followed by a long bike leg which pushed teams to their limits and tested their navigation skills. Rain and wind slowed many as they battled to see through heavy rain and strong winds. At the next transition, the support crew competed in a mystery challenge to secure an additional 15 minutes time credit for their teams. Teams then climbed back onto their bikes and pedaling to Moore River for the picturesque kayak leg. A quick run to the finish line rounded out the race, with many racing through the finish arch for a chance to dry off and get warm. A joint team from Azure Capital and King & Wood Mallesons (Azure KWM 1) took out the title of Overall Champion, completing the course in an impressive 4 hours and 35 minutes. BIS Industries (aka Let’s get BISiscal) successfully defended their GAC Champion Fundraiser title and raised a whopping $31,900. In total, teams raised more than $73,000 for the kids and their families. A wonderful effort from all teams and volunteers made GAC WA 2017 a great success.